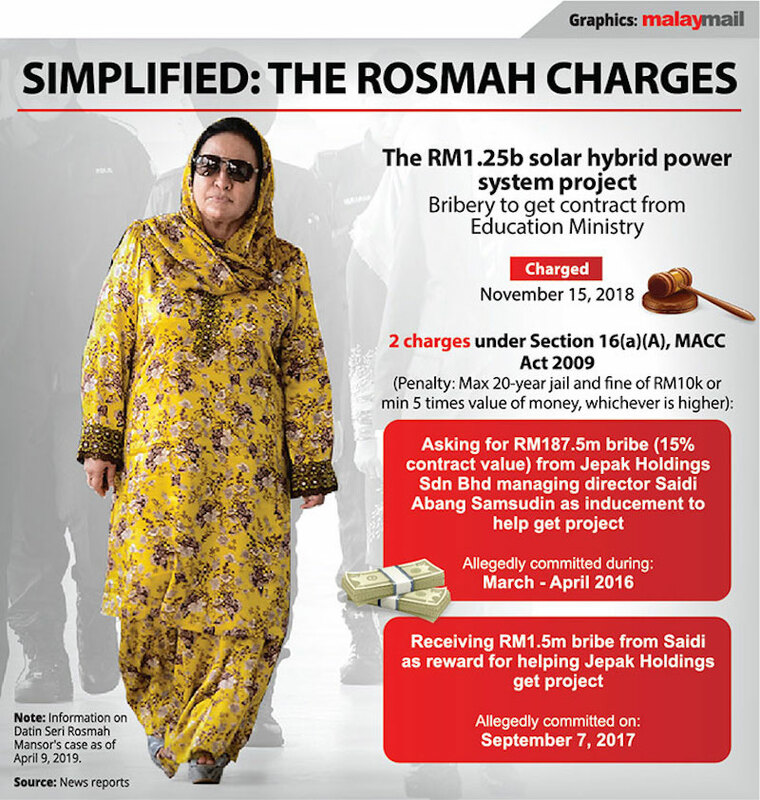 KUALA LUMPUR, April 10 — Rosmah Mansor was formally accused today of bribery in relation to a Sarawak rural schools project awarded when her husband was still the prime minister. After the charge was read out in Malay to her at the Sessions Court here, the wife of Najib Razak nodded to indicate she understood. She is accused of soliciting RM5 million as inducement from one Saidi Abang Samsuddin at Jalan Langgak Duta on December 20, 2016, for the award of the project. The charge was proffered under Section 16(A)(a) of the Malaysian Anti-Corruption Commission Act and is punishable under Section 24(1) of the same law. The offence is punishable by up to 20 years’ imprisonment and a fine of RM10,000 or five times the value of the bribe, whichever is higher. 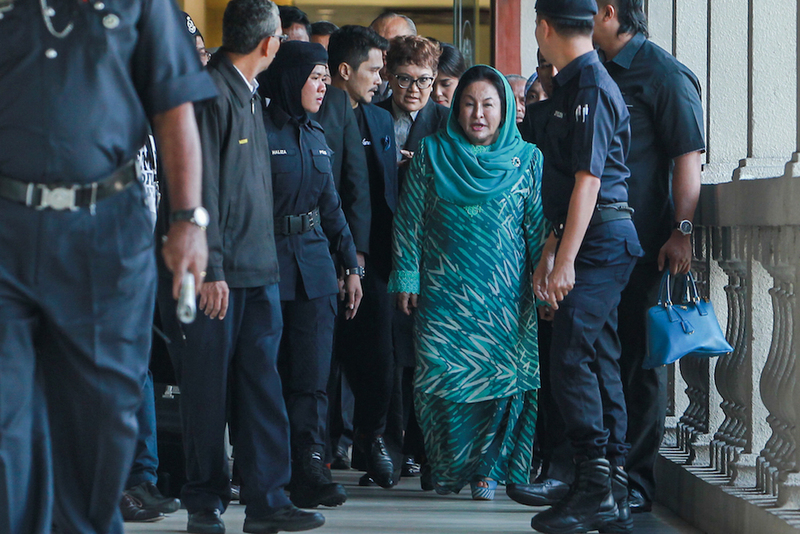 Dressed in a green baju kurung and a loose headscarf, Rosmah then claimed trial. Deputy public prosecutor Datuk Mohd Dusuki Mokhtar proposed that bail be set at RM1 million with one surety. Judge Azura Alwi is currently deliberating this with lead defence lawyer Datuk Jagjit Singh.